Do you remember picking daisy petals one at a time to find out whether your love was true? 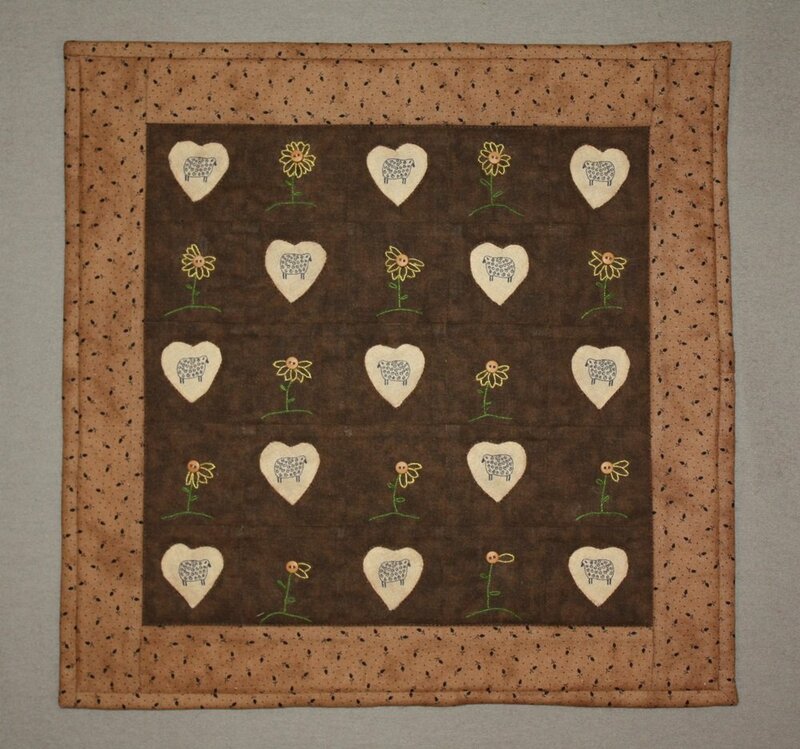 Recreate that moment with this 13" x 13" country quilt. Fussy-cutting the sheep material adds to the piece's charm.